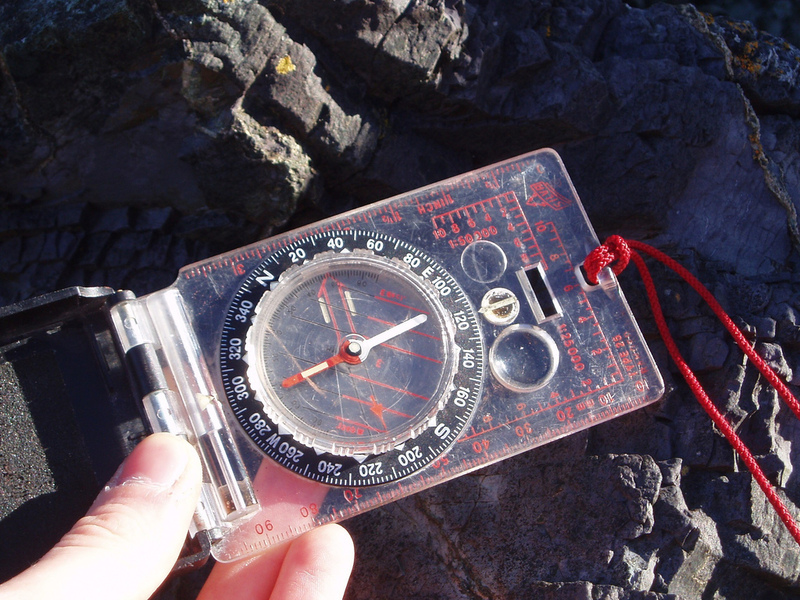 A geology student uses a compass-clinometer on a geology field trip. Calling Scotland “the birthplace of geology” and praising the work of Scotland’s two UNESCO Geoparks in Shetland and the Northwest Highlands, Jean has joined calls to save the Higher qualification in geology, due to be axed by the Scottish Qualifications Authority in 2015. 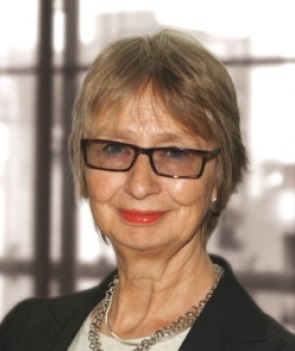 Jean added her signature to a letter by Willie Rennie MSP to Education Secretary Michael Russell, urging him to delay the scrapping of Higher Geology. Although an ‘Earth Science’ Higher is planned to eventually replace it, jean raised concerns of a gap in tuition of the subject if Geology is axed now. “Scotland is the home of geology, the place where James Hutton invented the science and proved the earth is ever-changing. Geology is vital to our future too, from developing our energy economy to dealing with the consequences of climate change. “In Scotland perhaps more than anywhere, geology is a vital part of so many careers in so many industries. But as the next generation grows up in an age of environmental challenges, they also need to be informed citizens, who understand how our planet functions and are able to take the big decisions to secure our future. “Our Geoparks honour two of the world’s most scientifically important and visually stunning landscapes, and do brilliant work developing their educational and tourist potential. “Shetland’s complicated fault lines mean that you can see rock types otherwise found scattered across the North of Scotland, side by side. Geologically, Shetland is the Highlands in miniature and a visit to the Geopark is a whirlwind tour of billions of years of Scotland’s history. We are writing to you regarding the Scottish Qualification Authority’s (SQA) decision to remove higher geology from the qualifications that are available to Scottish school pupils. The current higher qualification in geology is due to be scrapped in 2015, leaving a huge void in the teaching of geology in Scottish secondary schools. A focus group of school teachers, academics and industry representatives (Earth Science Education Scotland), coordinated by the Royal Scottish Geographical Society (RSGS), have proposed the development of a new higher in earth science which would cover the wide range of topics that modern earth sciences currently spans, and that would typically be offered in Year 6. As outlined below, there is a demonstrated demand for earth science teaching by schools, universities and industry. We urge you to promote the development of a new earth science higher qualification, and to extend the life of higher geology until the new higher course is prepared. We are aware that SQA and your office believe that the number of pupils studying higher geology is not large enough to support running higher geology because the numbers have declined over the years. We argue this is almost entirely due to the fact that no teachers have been trained in support of the subject since 1985, and that schools have never been encouraged to rank geology as an important subject. The Earth Science Education Scotland (ESES) focus group know of many schools where demand is high and teachers wish to offer higher geology, but the head teachers have not permitted it to run. However, ESES also knows that there is a huge demand and interest in a new earth science qualification that is on par with other science subjects and encompasses the broad range of topics that earth science now spans. A recent survey of more than 130 teachers, carried out by the University of St Andrews, found that 80% would consider offering this new qualification given the opportunity and appropriate support. According to a recent article in the TESS (April 18, 2014), SQA may have begun to recognise this, as Dr Gill Stewart, SQA Director of Qualifications Development, is currently looking to determine the demand for an earth science qualification. Support for a new higher also comes from industry, with organisations such as Oil & Gas UK recommending the introduction of this qualification, which they believe would help to address the serious and well documented skills shortage. Investment in the UK oil and gas industry is at an all-time high, with up to 24 billion barrels of oil and gas yet to be recovered. This has the potential to provide energy security to the UK for decades to come and jobs for young people in Scotland. As such, the discipline of geology is absolutely vital in aiding the industry to unlock the potential of the resource, while also aiding industry to maintain its position as the largest industrial investor in the UK and a globally recognised centre of engineering and manufacturing excellence. The level of interest in earth sciences is also demonstrated through the work of the Earth Science Education Unit (ESEU) and initiatives such as GeoBus, partially funded by industry, which provides support to teachers who want to cover geology content but have no resources or background to teach the subject confidently. The level of interest and demand for more earth sciences in the curriculum can be demonstrated with over 24,000 pupils in 160 different Scottish secondary schools have been involved in earth science workshops with GeoBus since 2012 alone. We are aware that SQA believes that geology and earth science content is being moved into other science subjects within Curriculum for Excellence. This, however, is not the case. ESES has found that geology content within the new geography curriculum is being diminished and the earth science content in the new curricula for Biology, Physics and Chemistry also shows a distinct lack of breadth and depth. A limited number of themes taught across a range of subjects will result in slight exposure to earth sciences, but the connectivity of topics across the different subject areas will be lost. Importantly, the new science curriculum will not equip students to understand the behaviour of the solid earth, natural resources and exploration, energy challenges, the hydrocarbon industry and geological climate change. We see an earth science qualification as a unique opportunity to consolidate on the learning achieved within the pure science subjects by studying a more applied science subject that underpins the economy and tackles some of the most difficult questions of our time: present and future energy challenges, new sources of natural resources, and climate change. In this context, we want to develop informed citizens who have at least a basic understanding of how the planet functions and where resources come from. By offering higher earth science in the final year of secondary school, pupils have an opportunity to additionally develop skills training (including outdoor fieldwork), research experience, some independent learning and careers awareness prior to leaving school. A common response of SQA is that higher geology is not required for entry to a university degree course. This is true, because there are hardly any schools offering the subject in Scotland and so this would unfairly disadvantage pupils. As stated above, getting pupils to take the subject at university isn’t the sole aim of a higher in earth science. It is worth noting, however, that in 2010, 45% of all entrants into earth science degree subjects in England and Wales held an A level or higher in geology. Clearly, offering the qualification at secondary school influences how many pupils will consider it as a degree course at university. In addition, while 33% of the pupils sitting A level geology in 2013 are female, about 50% of the student cohort in earth science courses at university are female; it is a route into science for women. We call on you as Cabinet Secretary for Education and Lifelong Learning to do everything in your power to delay the removal of higher geology until a new earth science qualification can be established. With the support of teachers, academic institutions and the energy industry, the demand for this new qualification cannot go unnoticed, nor should the future students of geology be held back due to short sightedness on the part of the SQA. Jean. As an emeritus Professor in Geology at Edinburgh Uni and Vice-chair of Lochaber Geopark I agree wholeheartedly with your letter to Mike Russell. It is worth pointing out too that geology is an excellent general science degree that brings in particular strands of chemistry and physics to a high level, and biology through palaeontology. Industry needs geologists with a good chemistry-physics-mathematics background. Can I also point out that there are three Geoparks in Scotland, of which the most active, with many geologically qualified vounteers, is Lochaber. We get more visitors than our sister geoparks and like them have outstanding scenery and geology of great international significance. We lost our status as a member of the European Geoparks Network purely on financial grounds – we could not raise enough money to meet their requirements for permanent staff – and are currently working very hard to establish a business plan for the future.